Main & Market: Sights and Sounds of the Queen City and Beyond | Rhinebeck, N.Y.
A "Bird's Eye" view of Rhinebeck, with important businesses & institutions numbered and labeled. L.R. 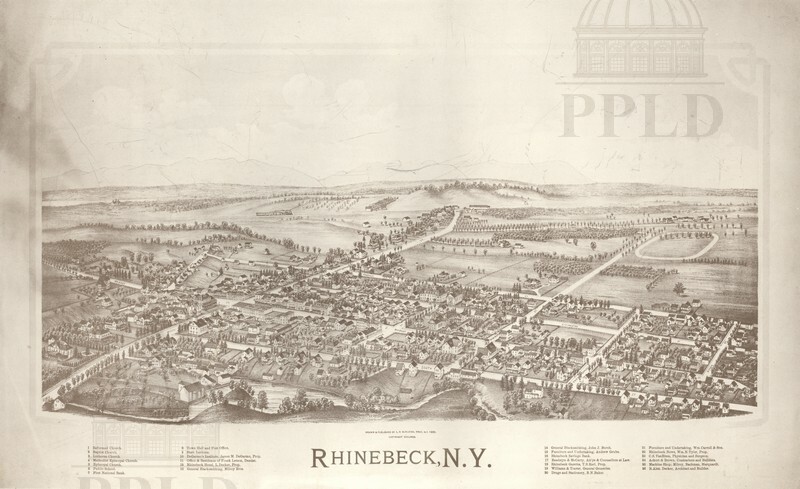 Burleigh, “Rhinebeck, N.Y.,” Main & Market: Sights and Sounds of the Queen City and Beyond, accessed April 24, 2019, http://mainandmarket.poklib.org/items/show/3516.